Learn to create a scrumptious Chinese menu, specially-curated and taught by a renowned Chef. The menu features a delicious line up of iconic classic Chinese dishes. 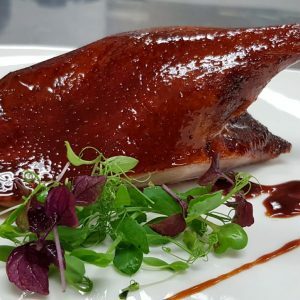 Learn all the details and techniques to create a 5-star, restaurant quality Chinese meal at the comfort of your own kitchen. Using high quality ingredients with no MSG, they are wholesome, delicious, perfect for your family meal or special dinner parties. Serve them up right from the stove in eye-catching and vibrant cast iron cookware from Le Creuset for a contemporary update on the dining table. You don’t want to miss this class! 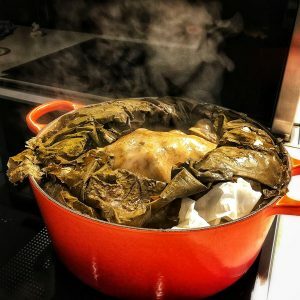 Duck roasting has a long history in Chinese cooking and many different variations have evolved over time. One of Chef Kelvin’s specialty, this Hong Kong style roast duck is succulent, tender with the crispiest, shiny, reddish-brown skin. The moist and juicy meat comes from the special marinate using yellow bean paste. The whole process might seem intimidating, however, when broken down into detailed steps and done right, it is a fairly simple process. Learn the essential techniques to recreate this restaurant quality authentic Chinese dish with Chef Kelvin. Serve this duck using the vibrant palette of the beautiful Le Creuset tableware that brightens every meal. Another of Chef Kelvin’s specialty. This dish is a great example of how western culture has influenced some of the Chinese dish over a long period of time. Seemingly simple, however this dish is a tricky one to make. Learn from Chef Kelvin the essential techniques to create the perfect tender beef cubes, fried using Le Creuset signature skillet and served with special black pepper sauce that has many layers of flavors built into it. The sauce can be alternatively used for other proteins as well. This is a dish that will become your family’s favorite. It might seem convenient to eat out, however, there is something special about hosting at home cooking a festive meal. 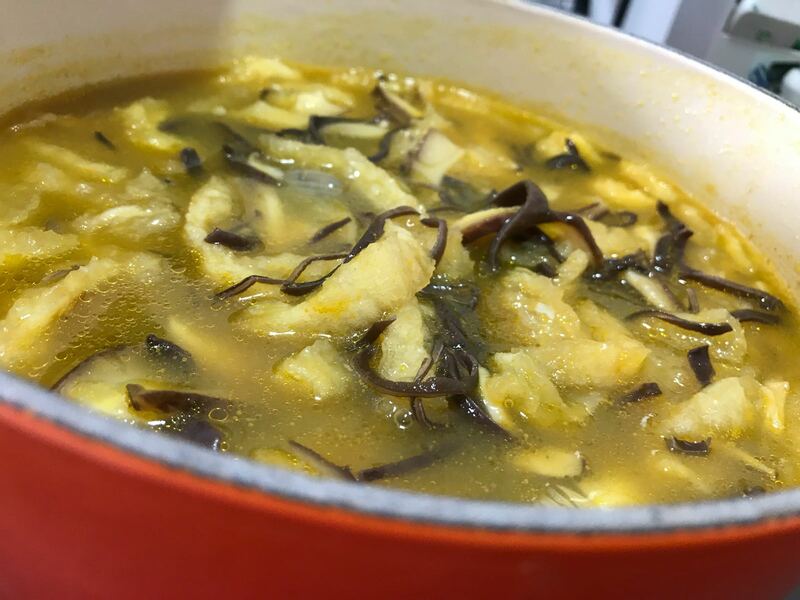 This soup can be served as part of celebratory reunion dinner. The key is in the superior broth. Chef Kelvin will create flavorful, rich broth using duck, pork and chicken using Le Creuset cast iron French oven. The selection of fish maw also plays apart in creating the delicate soup. 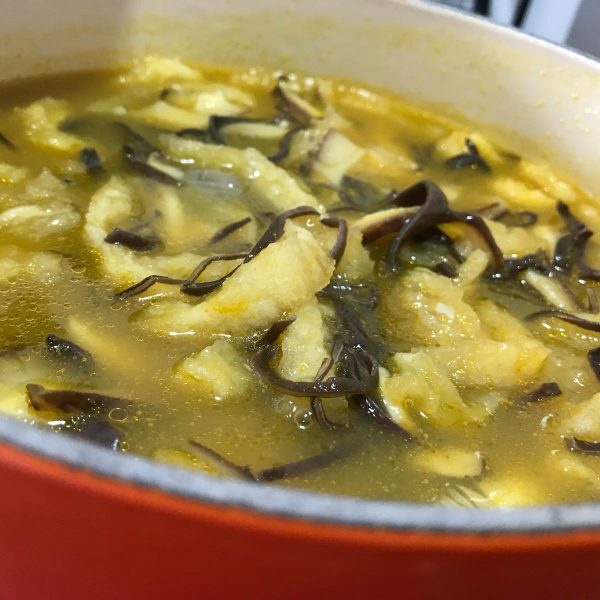 Using high-quality fish maw, this soup is served with bamboo shoot, black fungus and tender chicken meat, learn all the details that go inside this heart-warming soup! Chef will demonstrate all recipes and each participant will sample all the items demonstrated and bring home a recipe pack.